In Zimbabwe the political field is rough and dirty, and only the tough can survive. Margaret is one of the tough. She is passionate for women, despite the rough terrain she has to tread for them. Margaret Dongo was born in 1962. She grew up in Harare, Zimbabwe. She fought alongside men, to bring an end to colonial rule. After the war, she was troubled that the government neglected former combatants, especially women. She formed a war veterans association to cater for the needs of ex-fighters and helped them receive compensation from the government. In parliament she advocated for inclusion of women in decision-making positions. She fought against corruption and abuse of public funds and resources and exposed the atrocities committed by Zimbabwes ministers. 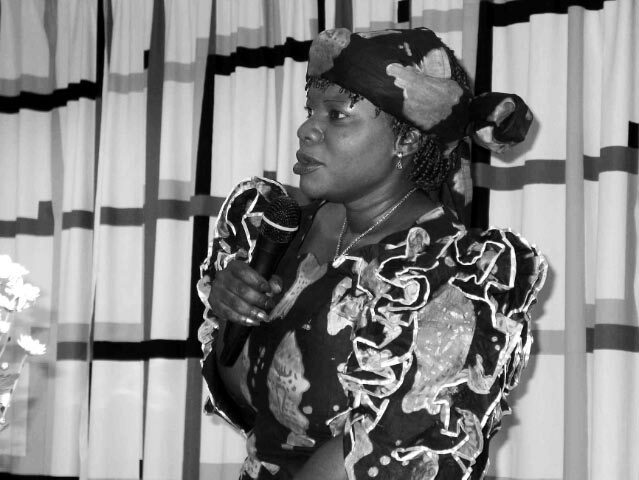 Margaret Dongo was concerned with the plight of female ex-fighters, who had been neglected by the government, and their need for rehabilitation. The negative effects of Esap, a national economic recovery program, took its toll on the common people, especially women. Many girls were out of school and many women and children died of disease when Esap introduced school and hospital fees. Margaret spoke against Esap and dissuaded the government from implementing it. She advocated for the inclusion of women in decision-making positions in the public sphere. She spoke against gender-based violence in Harare when single parents were harassed by the police and jailed in 1985. Margaret strongly opposed corruption and did research on government financial administration. Her list is known as a tool that exposed corruption in land redistribution in Zimbabwe. Politics, for Margaret, is a way to gain power for the people and to bring peace and justice, to liberate the people, especially the marginalized, such as women and children. Margaret remains vocal, fighting for womens rights by opposing the government. Zimbabwe is a country with a history of a very strong colonial patriarchy. When the new government came into power they adopted the same colonial masculine models of oppressions. Margaret never gave up despite all the difficulties. As a result of her work, a number of changes have occurred for the women. The education of girl children and women has improved. In the past pregnant girls or women were expelled from school or college, but can now get back to school or college. Many women stand for parliamentary elections, following Margaret as a role model and inspiration. Margaret Dongo mentored the members of parliament Priscilla Misihairambwi and Trudy Stevenson.